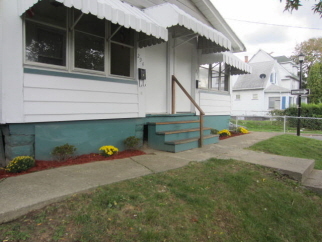 Interior Features Hardwood floors, updated kitchens, appliances, and maintenance free exterior siding. Separate utilities, separate basements, separate attics and separate porches. Just painted and new carpet. Looks awesome! Brand new 6 year Certificate of Occupancy (C of O) just issued by the City of Rochester. Parking Lot driveway to accomodate 3 cars. Property completely fenced in. Guaranteed rent with DSS. Fully subsidized with your monthly rent coming from the government, not the tenant.